I’ve always thought of a ‘student teacher’ to be a very odd concept. It’s one step before being a teacher… and yet still the very thing a teacher teaches. I suppose the best way to explain it is the point between student and teacher… but the ambiguity of the word is beautiful! 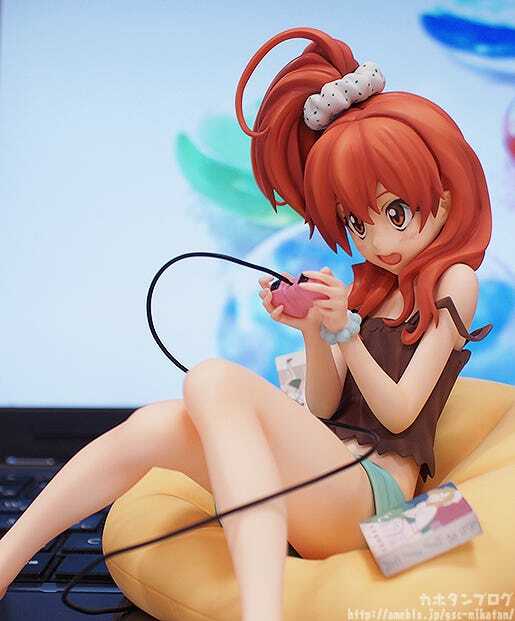 From the anime series ‘Sasami-san@Ganbaranai’ comes a 1/7th scale figure of the eldest of the three Yagami sisters, Tsurugi Yagami! 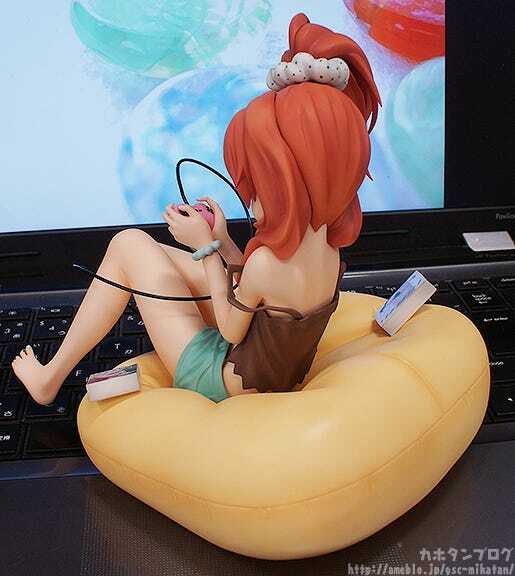 She is posed playing one of her beloved video games in a cute pose that captures her personality in figure form. 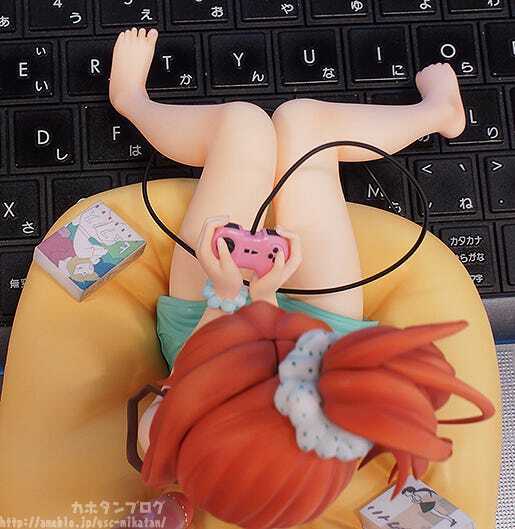 Tsurugi is usually seen wearing her white lab coat for work, but this figure instead shows her relaxed at home in a more casual outfit as she plays games to her heart’s content! 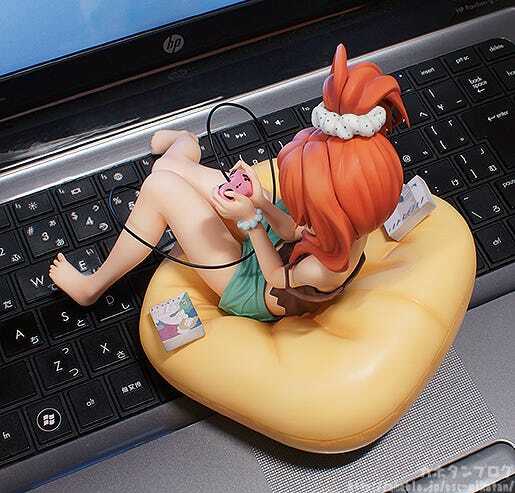 She’s dressed up in her casual clothes instead of her normal trademark lab coat, and is all relaxed playing games on a giant cushion… right on my desk!! But really… the cute, innocent look combined with the strangely revealing outfit and open back… not to mention her lovely long legs and over-sized shorts! 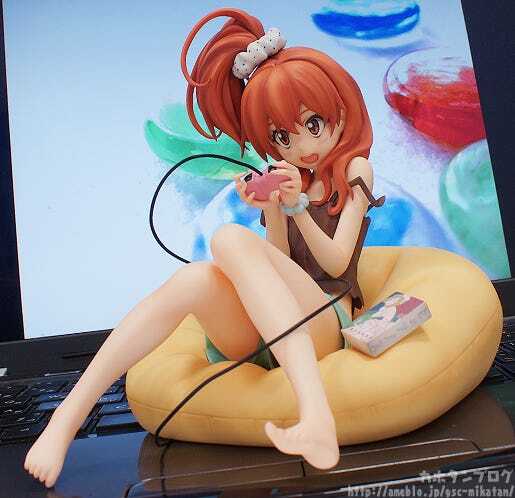 Plus the feet also have a strangely dynamic feeling to their posing! They really look like they’re in mid-movement from the excitement of the game! 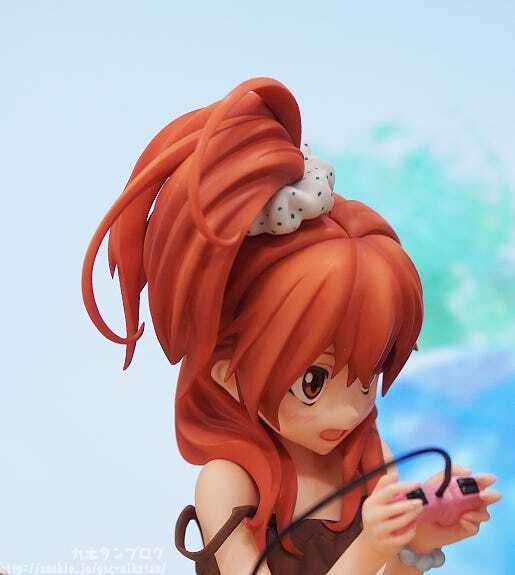 I wonder what the reason was for choosing to make a figure of Tsurugi… let me see if I can find someone from Max Factory to question! Max Factory Planning Team Summon: Kaneko Nitohei!! R-Right! So in other words… older girls are your type? … just as I thought! 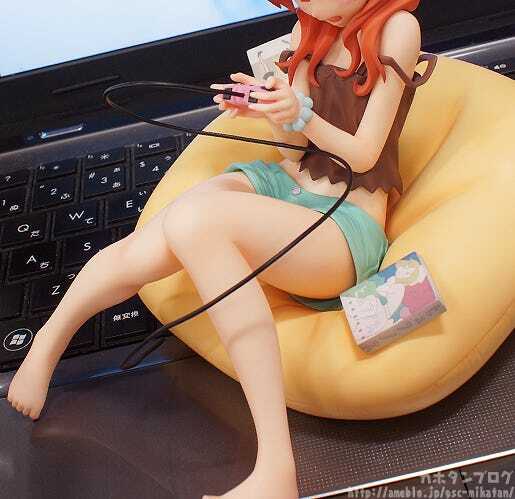 Just look at those thighs… those shoulder blades… her back and that neck!! So many little “gaps” in her defence… all because she is focused on her game…! Personally it kind of makes me feel like I’m living in the same house as her! 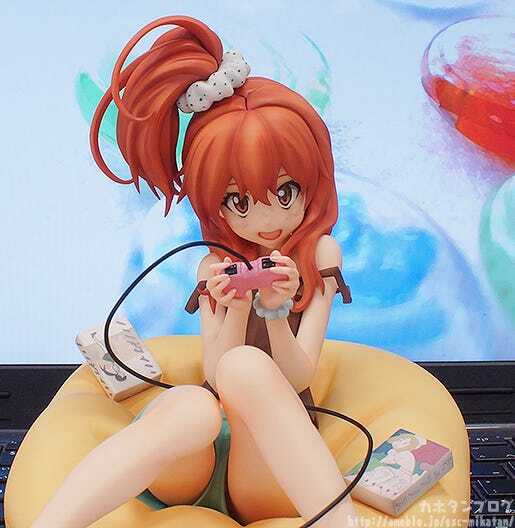 She’ll be up for preorder from the 20th March! !